Simple, functional storage for the modern office. The BDI Centro 6414 3 Drawer File Cabinet provides two storage drawers and one file drawer that accommodates legal or letter sized files. Locking drawers keep your belongings safe. A light grey etched top contrasts subtly with the satin white frame and base. 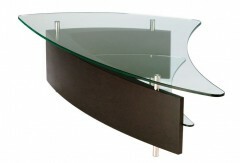 The micro-etched grey glass top provides a durable work surface that resists scratches and watermarks. It also makes a great writing surface and is compatible with optical mouses. The cabinet is made of a satin white painted hardwood veneer. White powder coated steel legs subtly support the cabinet. While the Centro 6414 File Cabinet is a great stand alone piece, it also connects to the BDI Centro 6402 Return Desk to create a small workstation. 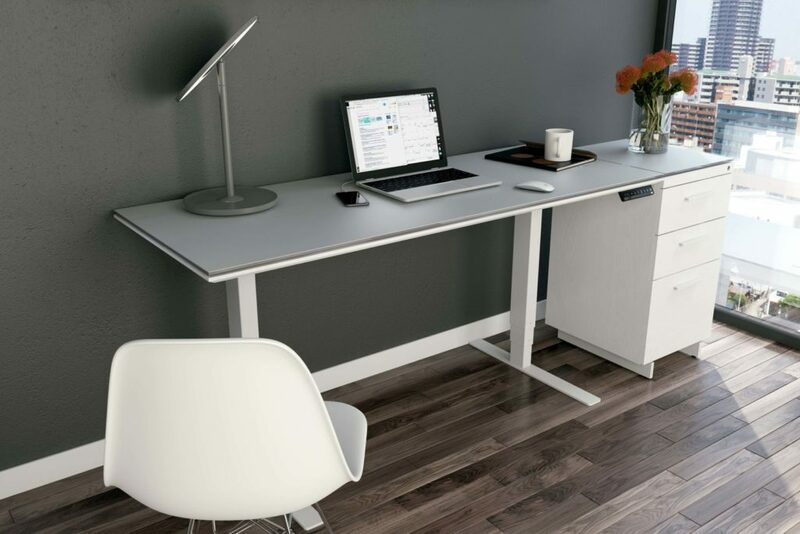 It also pairs beautifully with the Centro Lift Desk and the Centro 6401 Desk.